​A six-run fourth inning led Falmouth Yachtsmen Varsity to an 8-1 victory on Saturday. The big inning was thanks to a fielder's choice by Marcus Cady, a walk by Colin Coyne, a single by Robbie Armitage, a walk by Max Fortier, and a walk by Griff Aube. Cam Guarino earned the win for Falmouth Yachtsmen Varsity. He threw six and a third innings, allowing one run, five hits, striking out seven, and walking one. Brady Douglas recorded the last two outs to earn the save for Falmouth Yachtsmen Varsity. Jay Henry Bock took the loss for York. He tossed three and two-thirds innings, allowing five runs, three hits, and striking out two. Falmouth Yachtsmen Varsity collected eight hits. 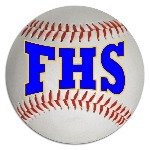 Robbie Armitage, Nate Rogers, and Garrett Aube each collected multiple hits for Falmouth Yachtsmen Varsity. Armitage went 3-for-3 at the plate as he led the team with three runs batted in.York had five hits in the game. Timothy MacDonald and Christopher Neilson each collected multiple hits for York.